This election cycle, the 219th District Court has an opening. Judge Curt Henderson has announced that he will not seek re-election. Until recently, there was only one candidate, Scott Becker, actively campaigning for the bench. It was rumored that Greg Willis would run for the bench, however, he has announced plans to become the next district attorney. On Friday, a new candidate, Angela Tucker sent out a press release, stating her plans to run for the 219th. Angela previously entered the race for Collin County Court 3, but changed her plans to seek the district bench instead. Additionally, a new candidate, Wendy McMillon has also announced her candidacy. Scott Becker is a current prosecutor with the Collin County District Attorney’s Office. He serves as a felony prosecutor handling cases ranging from drug cases to murder cases. Prior to his time as a prosecutor, Mr. Becker had his own law practice handling criminal, civil, and family law cases. Scott has gained the endorsements of the Collin County Deputies Association, the Plano Police Association, the Frisco Police Officer’s Association, the McKinney Police Association, and the Allen Police Department. Mr. Becker told us, that "throughout my career I have enjoyed serving the community through the law; first in private practice with individual clients, and now as an assistant district attorney serving the community on a broader level. Now I feel the next place I can serve best is from the bench. Having handled so many different types of cases both criminal and civil, from each side of the bar, I have gained valuable perspective on the importance of making sure everyone who enters the courtroom feels the judge handles their issues professionally, and they were treated equally under the law. " Mr. Becker lives in McKinney with his wife Jana and their two children. More information about Mr. Becker can be found on his website www.BeckerForJudge.com. Angela Tucker has practiced civil, family, and criminal law. After spending four years as an Assistant District Attorney in Collin County, she opened her law office and currently is a partner in a local firm. Wendy McMillon is an attorney currently with the firm McKool Smith in Dallas where she concentrates in the area of intellectual property and complex business litigation. Prior to that, she obtained extensive litigation experience at Cowles & Thompson defending complex healthcare liability, wrongful death, and mental health lawsuits in the firm’s Dallas and McKinney offices. Mrs. McMillon informed me that she "helped open the [Cowles’ office in McKinney] and spent most of my tenure [there]. I also have handled numerous matters in Collin County courts continuously, even after moving to Dallas firms." Mrs. McMillon is a Plano resident along with her husband Mark and two children. 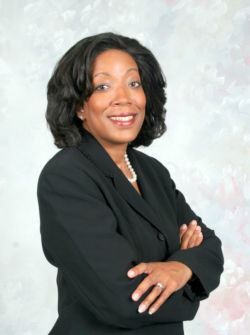 Mrs. McMillon has a campaign website www.mcmillonforjudge.com where you can learn more about her campaign. Full disclosure notes: I am, and have been a supporter of Scott Becker for his election bid. I cannot say enough good things about him and believe he would be a great judge. I even designed the website for his campaign. However, Angela Tucker is a friend, great attorney and an wonderful individual as well. With these great candidates, Collin County can’t lose. I do not personally know Wendy McMillon.